Bairs Lodge | Tailwaters Fly Fishing Co. Guests travel to Congo Town via Nassau (NAS) with local carrier, Western Air ($150 round trip), via Ft. Lauderdale on direct scheduled service daily to Congo Town, or via charter flight from Ft. Lauderdale with larger, more cost effective, group sizes. 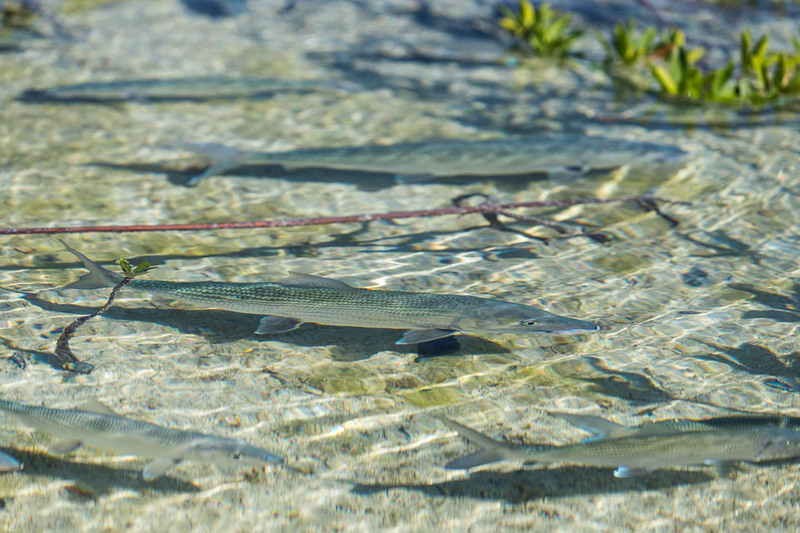 Bonefish are the dominant target species, however southern Andros will seasonally offer opportunities for permit and tarpon. Barracuda and sharks are an everyday thing, and their offshore fishing program can be a ton of fun for dorado, tuna, mackerel, and other bluewater species. The Spring months of March – May are invariably the most popular, but if flexible, anglers who can time a winter trip properly can enjoy some of the best bonefishing of the year with minimal pressure and the biggest bones of the season. Summer months should not be ignored for their consistent weather patterns and opportunities for other species like tarpon and permit. The autumn often enjoys beautiful springlike conditions and can be very productive on the flats for all species as well. Is Bair's Right For You? 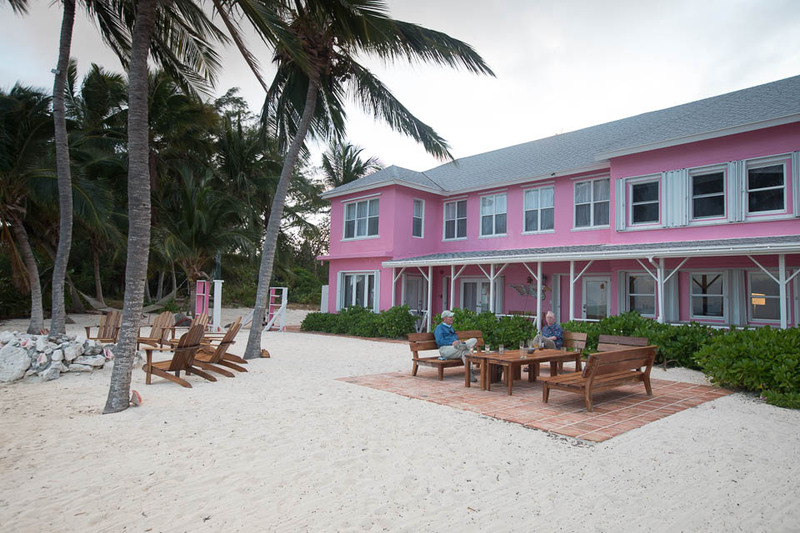 Bair’s Lodge is the most polished and highest end lodge in South Andros and is perfect for any angler looking for the best fishing while enjoying top notch accommodations. 6 Nights / 5 Days Fishing (based on shared room / shared guide) is $5,560 per person (October-March) and $5,775 (March-June). Shorter and longer stays available. Fishing Packages include lodging, all meals, open bar, guided fishing, fishing license, transportation from Congo Town airport, and loaner fishing equipment. Additional expenses include airfare to Congo Town, flies, gratuities, and taxes. (See RATES) for details. Our Travel Services are Free! You the client don’t pay a penny for our travel services! Our destination recommendations, organization, and pre-trip planning services are completely free of charge – and oftentimes less expensive than booking direct with a lodge or outfitter. We can assist with every question, concern, or special request related to your adventure at zero cost! Bair’s Lodge is located on the world famous South Andros, 25 minutes south of Congo Town at Little Creek. Three things that best describe this fishery are massive hard bottom flats, beautiful blue crystal clear water, and huge bonefish. Anglers will not go long without spotting and stalking double digit fish, which is why South Andros is such a special place. The lodge is in a prime location on the south bight, lending easy access to the interior flats of Little Creek, west side flats, and the pristine flats of the southern portion of Andros. 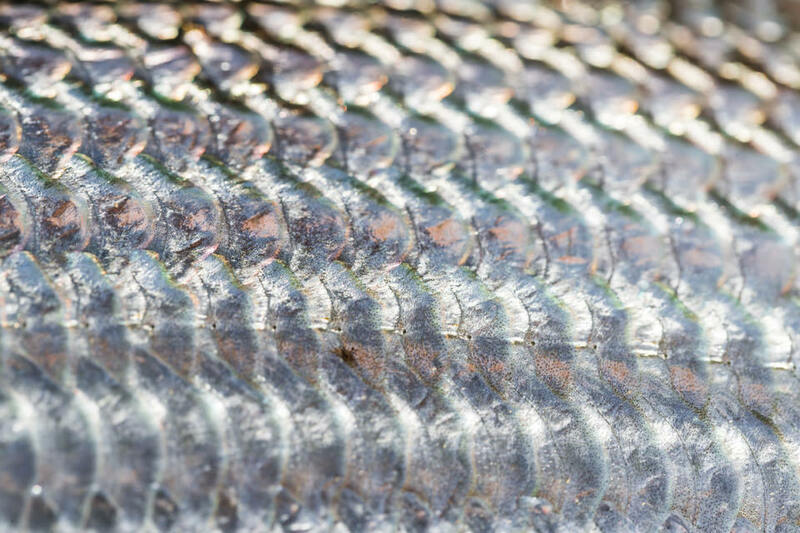 As mentioned, South Andros is home to many large bonefish! Anglers can fish from both the boat or choose to wade white, hard bottom flats if the tide is right. Owner and operator Nervous Waters spares no expense when it comes to making guests feel like the star of the show. 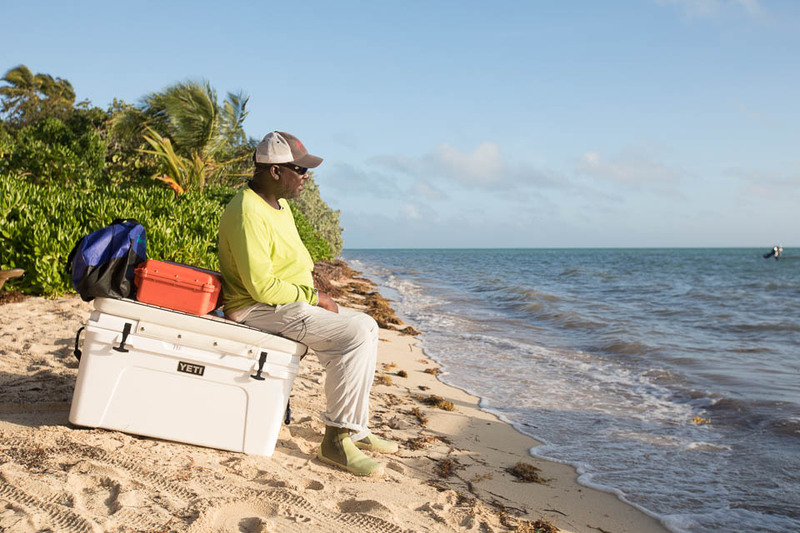 Anglers start their day with an a la carte breakfast, and then head out for a day of fishing in brand new Maverick skiffs, with fully stocked YETI coolers. A variety of options for lunch are available for order including the daily special, cold sandwiches and salads. Arriving back at the lodge, one of Bair’s hostesses greets guests with cold towels and a freshly made cocktail. No better way to end a day of fishing! The lodge is a combination of six double occupancy rooms, with a large common area loaded with couches and a television. Bairs lodge is ideally located south of Congo Town at Little Creek. This convenient location allows guides to quickly access all sides of South Andros. These include the hundreds of square miles of flats inside the Deep and Little creek systems, outrageous numbers of unpressured fish on the southern flats, and the legendary West Side — options that also ensure anglers much more water to fish on any tide and especially if weather is not cooperating. The southern end of Andros is miles from the busier lodges to the north of the island, and luckily Bair’s Lodge does not share its vast fishery with many competing lodges or guides. Bairs Lodge is owned and operated by Nervous Waters, a reputable fly fishing destination group that has high end lodges all over the world. 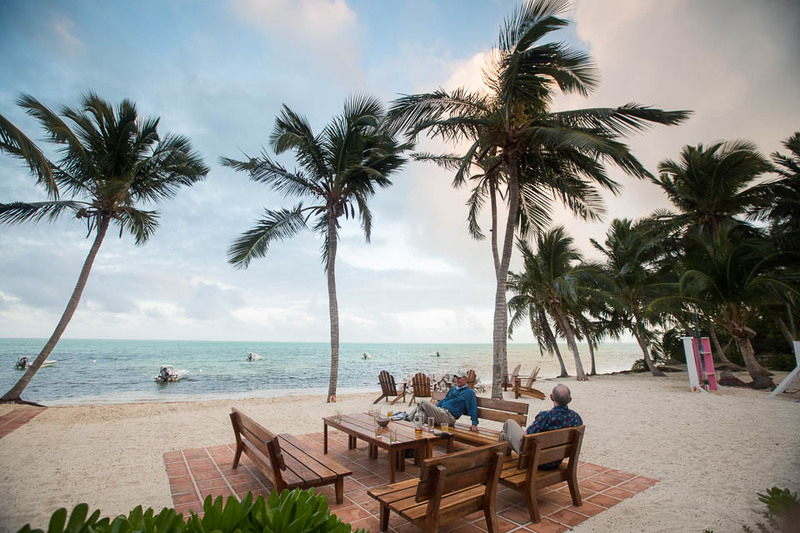 While the fishing on South Andros speaks for itself, Bair’s Lodge prides itself on providing guests the best guides, boats and creature comforts any angler would ever dream of. The beachfront location of this traditional lodge is ideal for great sunrises and if you haven’t had your fill of fishing, anglers are a short walk from plenty of great shots at tailing bones on the home flat in front of the lodge. 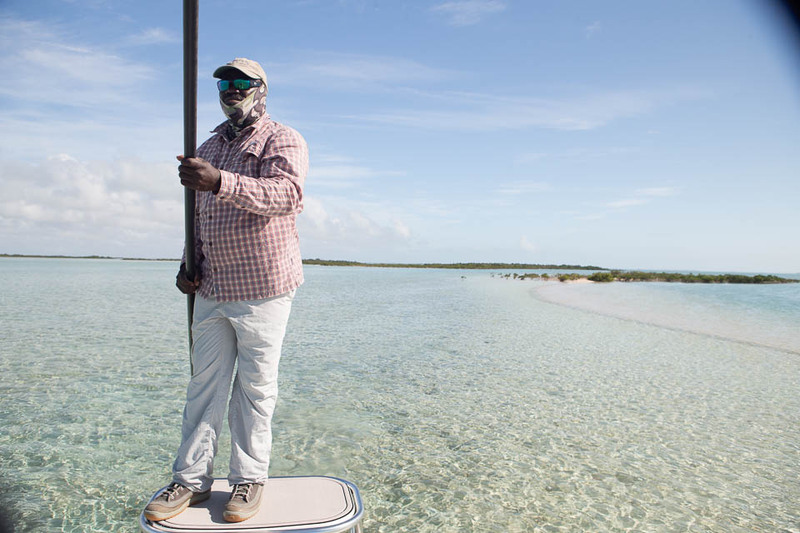 The vast fishery on the southern end of Andros offers some of the most diverse styles of fishing found in the Bahamas, including nearly endless opportunity to wade. 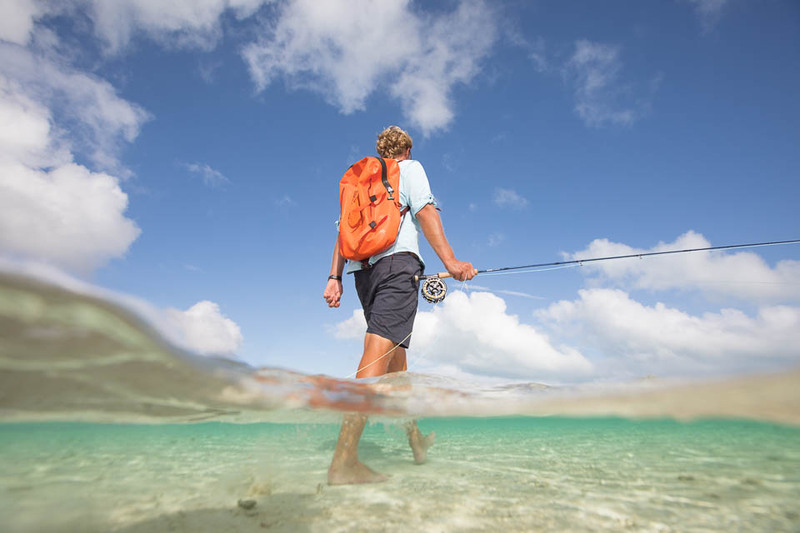 Most Bahamian destinations are limited to fishing from the boat, while southern Andros is made up of numerous crystal clear, hard-bottom flats very accessible on foot. The fishery also offers plenty of mangrove lined creeks and inland lakes loaded with schooling bones in the 3-6 pound range. If you prefer fishing from the skiff, anglers have the opportunity to chase singles and doubles (often going double digits) found around some of the remote cayes and ocean side flats. The size of the fishery is immense, with very little pressure, yielding obscene numbers of uneducated bonefish along with big fish. In a week-long trip, it is rare to see (much less fish) the same flat more than once. 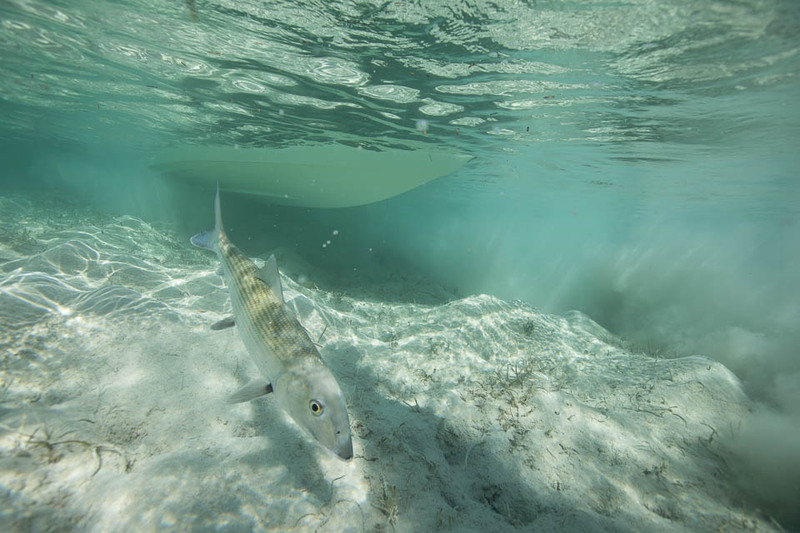 Although bonefish are the traditional target species, there are occasionally opportunities for other species such a barracuda, permit, tarpon, jack crevalle, mutton snapper, horse-eye jacks, and other reef dwelling species. 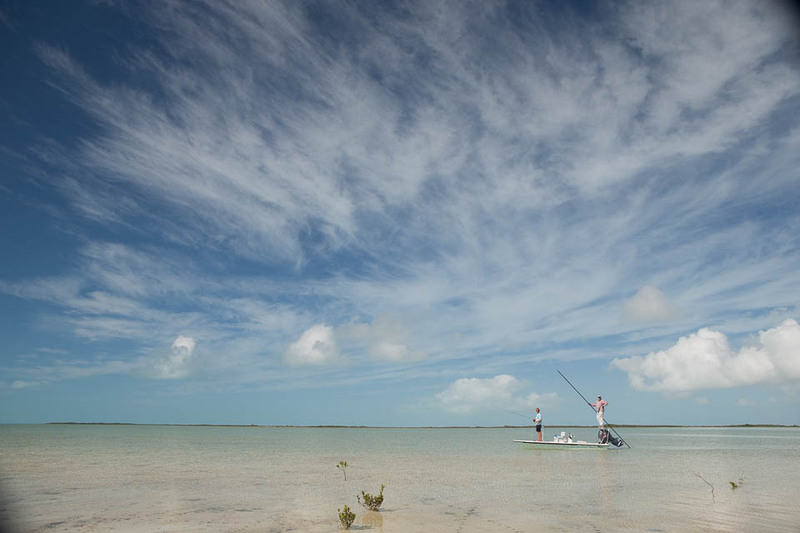 If the tide is right, guests can utilize down time at the lodge and walk 5 minutes straight out to a sandbar that is loaded with cruising and tailing bonefish. 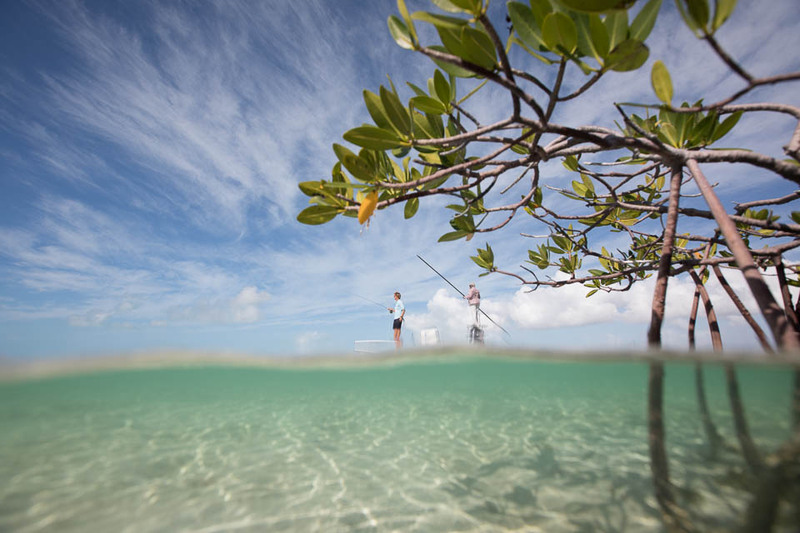 The local guides at the lodge are hard working veterans who have fished Southern Andros all their lives. Collectively, these guides have over 125 years of guiding for Bair’s Lodge. They are extremely accommodating to anglers of all skill levels, and safely operate brand new custom Maverick skiffs for ultimate comfort and accessibility. Each morning in front of the lodge, anglers are greeted by their guide and head out to their first spot. No trailering! Anglers are typically casting to bonefish by 8:00AM. Anglers are off the water by 4:00PM and return to the lodge for cocktails and appetizers on the patio or by the fire. Bairs Lodge can arrange bluewater fishing that allows guests to sample the great fishing available in the Tongue of the Ocean, just to the east of South Andros Island. Depending on the season, dorado, tuna, wahoo, king mackerel, ocean barracuda, sharks and other species are available. Anglers use a variety of techniques, including fly fishing, using live bait on spinning gear, and trolling. Bottom fishing for snapper and grouper can also be a great option. The offshore fishing near South Andros Island is a phenomenal resource, and yet is virtually untouched. Note there is an additional charge for each day of bluewater fishing. The beachfront lodge is situated on a beautiful white sand beach with well manicured landscape, plenty of palm trees, and a large firepit for evening stories and chatter. The lodge is very homey and laid back with a ton of lounging space both indoors and outdoors. For those that like to stay connected, there is free wifi and a satellite television. 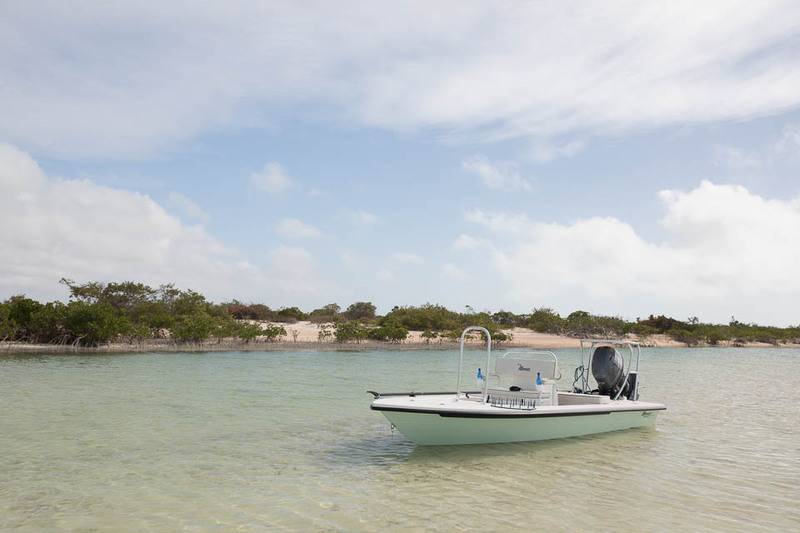 All Maverick skiffs are moored directly in front of the lodge, making the morning commute to your fishing spot a breeze. This traditional lodge is extremely comfortable, with 6 en-suite double bedrooms, holding a capacity of 12 anglers. When available, anglers can enjoy a single bedroom at no additional cost. Each air conditioned room has king beds, cotton sheets and down pillows, plenty of power outlets, and wifi. 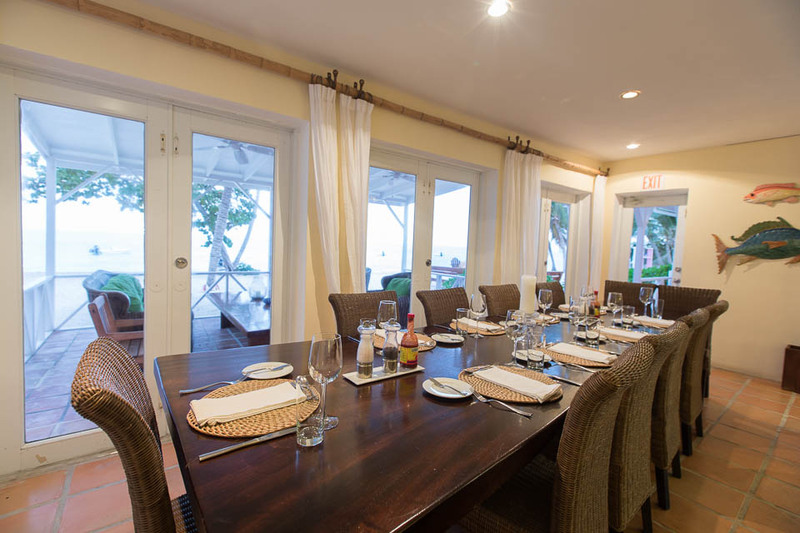 The dining room is spacious and laid back, with a professional chef creating dishes using fresh produce, seafood and local flavors. 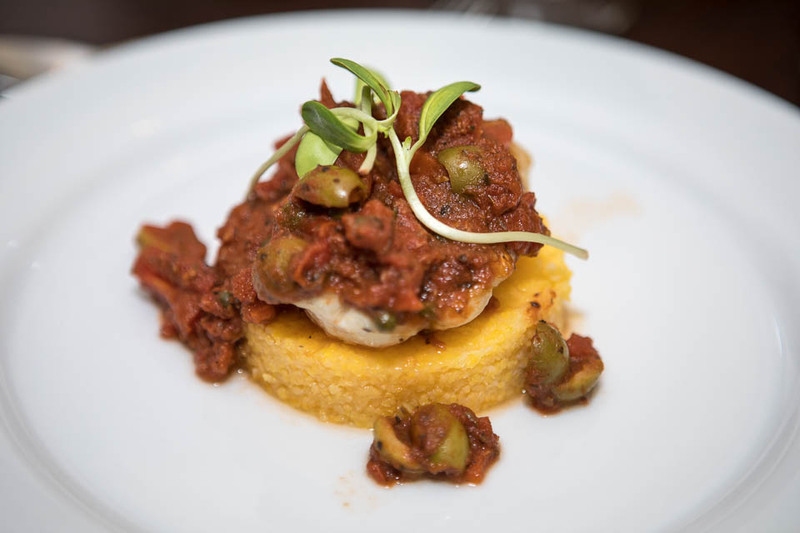 And you bet, Conch is on the menu! Located right on the beach is an outdoor patio with plenty of seating and tables for everyone to enjoy cocktails and appetizers. If the weather permits, the lodge will boost the ambiance with a nice fire in the outdoor fire pit. The most popular option for reaching South Andros is Western Air. Western operates two flights each day from nearby Nassau. Western flights work perfectly with the lodge’s schedule. These flights depart Nassau at 8:00 am and 3:00 pm daily and take 20 minutes. The morning flight requires an overnight in Nassau. The flights return back to Nassau at 9:00 am and 4:00 pm. Cost of a round trip itinerary with Western Air is around $150 per person. A quicker and more direct option is to fly on a daily scheduled flight from the Ft. Lauderdale executive airport to Congo Town with Watermakers Air. Round-trip airfare is around $700 but the convenience is well worth it and there is usually a cost savings associated with skipping the Nassau leg. Groups of six persons or more may also consider a private charter from Ft. Lauderdale which we would be happy to arrange for you. The charter flight option is a direct one-hour flight to the island from Ft. Lauderdale International. Using the charter flight is an economical and practical option for larger group sizes. The cost of the private charter flight from Ft. Lauderdale to Andros is based on the number of people in your party and the amount of baggage and passenger weight in your party. Air Flight Charters operates comfortable, eight passenger Cessna 402B and 402C aircraft. Jetset Private Air uses state-of-the-art, air-conditioned Cessna Grand Caravans that seat up to 9 passengers. Please contact us for a quote as rates are always fluctuating due to the price of fuel. Generally speaking, a 9 passenger aircraft is approximately $5000 round trip depending on the equipment required in accordance with weight limits. Congo Town’s air strip is well maintained and approximately 5000 feet and can accommodate private aircraft. Customs service is available here in Congo Town as well. Once you arrive in Congo Town, a representative of the lodge meets guests at the airport for the short drive to the lodge. Travel to Congo Town, South Andros, either via Nassau or Ft. Lauderdale, FL (see TRAVEL for details). We can facilitate all required flight and hotel arrangements for this portion of the trip. Upon arrival at the Congo Town Airport, the drive 25 minutes the lodge. At the lodge, get settled in your room, relax, grab a cocktail and appetizers, or — if time allows and the tides are right — fish the home flat in front of the lodge. Dinner is served at 7:00 pm. Coffee is served at 6:30 am followed by breakfast at 7:00. Depart dock at 8:00 am for fishing grounds. Made-to-order lunch is taken on the water. Anglers are back at the lodge by 4pm where cocktails and appetizers are served until dinner at 7:00 pm. Transfer to the Congo Town airport for your flight back to Ft. Lauderdale or Nassau. One thing people often neglect when considering a trip to the Bahamas is the weather. The Bahamas are actually in the Atlantic Ocean, not the Caribbean Sea. As a result the Bahamas are more susceptible to northerly cold fronts than their Caribbean neighbors to the south, as well as being subject to tropical storms during hurricane season. Bair’s Lodge is CLOSED from the first week in June through mid-October. The prime spring months to fish the Bahamas. Consistently warm (not too hot) weather dominates the forecast. There are often great chances for other species like tarpon and permit later during this period, the winds lay down, and weather is usually very predictable when tropical storms are not present. There is typically less wind as well. Peak Hurricane Season! Lodge is closed. The autumn often enjoys beautiful springlike conditions and is usually very productive on the flats for all species. Cool weather and windier conditions can be a factor. The fish are of course always there, but you run the risk of getting cooler weather from the States. However, it is equally as possible to have 80-degree days and little wind. Some of the best bonefishing occurs following the passing of a cold front when water on the flats warm inviting rested bones back on to feed. This is a great time for trophy bonefish. 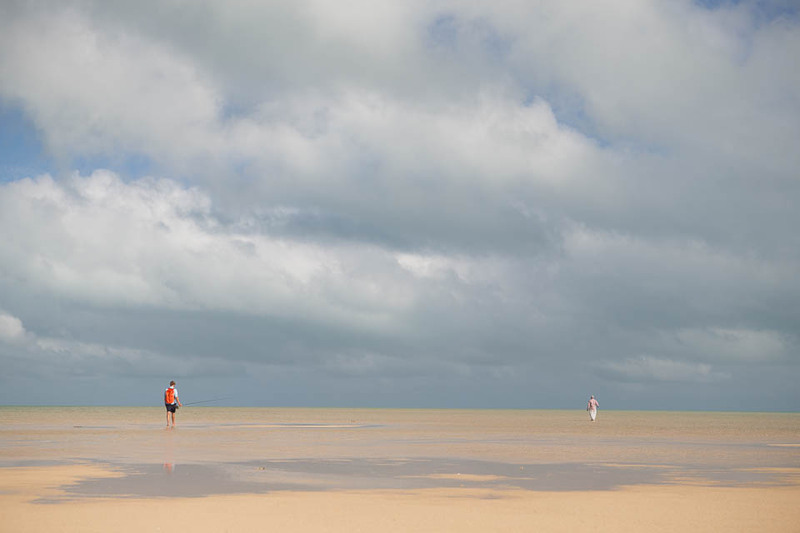 Fishing is the predominant activity at Bair’s, however the area’s beautiful beaches are a peaceful place for a jog, swim, or just for the rest and relaxation. Payment terms: 50% deposit to guarantee booking. Balance 60 days prior to departure. Tailwaters Travel must adhere to the cancellation policies of the guides, outfitters and lodges which it represents. Bair’s Lodge policy follows: A 50% deposit is required to hold all reservations made outside of 180 days from the trip. Remaining balance due 60 days prior to departure. Refunds or credits cannot be issued for fishing time lost due to inclement weather. Refunds of deposits/payments made on credit cards will be charged a 3.5% service charge to fully compensate Tailwaters Travel for all bank charges incurred. Receipt of deposit and/or final payment is acknowledgement that registrant has read and accepts the cancellation, refund and responsibility clauses.